First I created my background panel, using a stitched oval Memory Box CO die and a Memory Box stencil (diapers) to push the Nuvo Glimmer paste through. I used a Purple shade. Allow some dry time before removing the stencil, however do not let it dry completely. Oval stencil on a 4.25 x 5.5 panel for stencil mask. Then add the stencil and line up with another panel of the same size, you will cut it down to 3.75 x 5 after it's done and dried. Spread the Nuvo Glimmer Paste through the stencil with a spatula, allow to semi dry and remove stencil before it drys completely. I used pop dots behind the daisies for dimension. Glitter Glue to flower centers. Your mom's birthday card is lovely! How wonderful that she has you to care for her. Happy Birthday to your mom, Lezlye!!! Love your card! Beautiful background!!! Love your card and hope your Mom's birthday is festive. I am so determined to learn more about mixed media...the glimmer paste is really special. P.S. Love the flower die...it went on my wish list as soon as I first saw it. This is a stunning card. I love the Daisy die and it pops over that great glimmer paste background. My heart goes out to you for your mom's dementia. My hubby had that and it was so hard to see him with that disease. Happy birthday to her and big, warm hugs to you. This is such a beautiful card. I appreciate your different techniques with use of dies and products. Hi Lezlye, Happy Birthday to your Mom, and she will adore this card !! 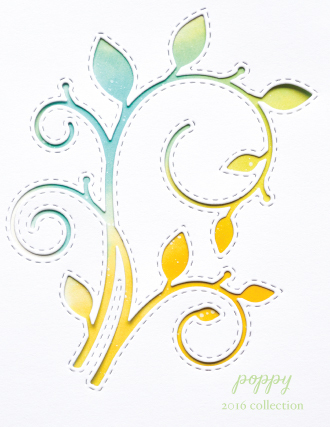 I love the colours, I love the glimmer paste through the stencil, I absolutely adore the daisies, they are stunning. It's a definite 'Wow' card. Lezlye, your mother will LOOOOOVE THIS! What a WONDERFUL DAUGHTER you are to care for your mother, in SO MANY WAYS! She will probably feel SO SPECIAL that she would receive such a WONDERFUL, BEAUTIFUL CARD, JUST FOR HER! ;) Your card IS WONDERFUL & BEAUTIFUL & SO FULL OF LOVE!!! !I LOVE the colors you've used & the sparkle, & the contrast of the white daisy's on the purple sparkle! ;) SO SPECIAL!!! Hope your mum loved her card and it helped her realize it was her birthday. I love daisies so this die for me is perfect and top of my wishlist at present thank you for sharing. Gorgeous card!!! I just love that flower die!! Happy Birthday to your Mom! She is so blessed to have you. That glimmer paste is yummy. Gorgeous card! Beautiful card. I love the glittery paste. I am also wishing you much strength as the caregiver for your mom. I hope that you find happiness of the little moments you get to spend with your mom regardless of what is happening that day. Remember to take care of yourself as well! Being a caregiver is a very hard task! My thoughts are with you! Your card is amazing, Lezlye! Happy Birthday Mom! I understand how hard it is looking after someone with dementia, I am my husband's caregiver. The background is the perfect, beautiful, glittery compliment to the daisies. The daisies pop off the page and you want to touch them to feel if they are real! Love the birthday girl phrase, perfect for your Mom. Thank you for sharing this inspiring card and that you are a caregiver, you are not alone eventhough it feels like it. What a blessing your mom has in you Lezlye. Not only do you help care for her, but you bring beauty in the form of your gorgeous birthday card. A nice card. Dementia is such a tough path for all involved. I wish you peace. The flowers look delightful against the background, a wonderful design, LOVE IT ALL! Gorgeous, love all the shimmer with the background and flower centers, pretty design, I am sure your mother just loved it :) All the best to you, my mother suffered with the same thing. Thank you for sharing your beautiful card, I'm sure your Mother will love it! 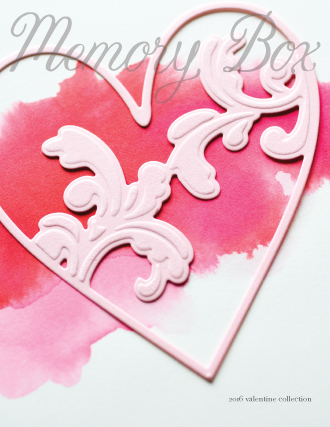 I bought this die and love your design and gorgeous color choices! Thank you All for your Lovely Comments, it brings tears to my eyes. I read each and everyone of them.I LOVE sharing my poppy stamps creations with you all so much. Whaouuu ! C'est totalement sublime ! !